Are the Founders Worthy of Our Admiration? | What Would The Founders Think? Are the Founders Worthy of Our Admiration? The Founders of the United States lived over two hundred years ago in a completely different world. Some dismiss the Founders by saying that most were wealthy and many owned slaves. Let’s leave aside for a moment whether those are valid reasons to dismiss the Founders. These criticisms may be true for some of the more prominent Founders, but they are woefully misleading when applied to the great body of people who committed everything to the idea of self-government. The Founding of this great nation was unique. Up until 1776, with a few brief exceptions, world history was about rulers and empires. The American experiment shook the world. Not only did we break away from the biggest and most powerful empire in history, we took the musings of the brightest thinkers of the Enlightenment and actually implemented them. Our Founding was simultaneously an armed rebellion against tyranny, and a revolution of ideas—ideas that changed the world. For our purposes, let’s define the founding as extending from the Stamp Act through the first administration of George Washington. This would include the development of a revolutionary spirit, the revolution itself, a few non-war years under the Articles of Confederation, the adoption of the Constitution, and Washington’s first term, which set so many precedents. Who were the people involved in these events? First off, it was a lot of people. If you eliminate the count for those who served in multiple roles, there were still 488 people who could rightfully claim a Founder’s role. And that’s not nearly all. 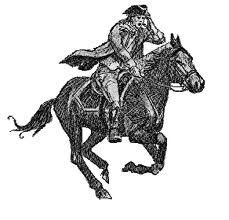 Over 120,000 served in the Continental Army. There were also state legislatures, governors, and delegates to the state Constitutional ratification conventions. Thomas Paine, George Whitefield, Noah Webster, James Otis Jr., and hundreds more contributed to the founding through writing or sermons. 51 women from the Society of Patriotic Ladies at Edenton, North Carolina, signed a revolutionary statement. Esther Berdt Reed organized women in Philadelphia to raise $7,500 dollars, an enormous amount at the time. Women defended their homes against the British and Native Americans troops; some women served as spies; Catherine Van Rensselaer Schuyler burned wheat fields around Albany, NY, to prevent British forces from harvesting them; Mary Katherine Goddard printed the first official copy of the Declaration of Independence, and paid post riders to carry it throughout the colonies. A few women actually participated in battles. The population of the United States during this period grew from 2.4 to 4 million. During the war, probably over a million people thought of themselves as contributing to the cause. 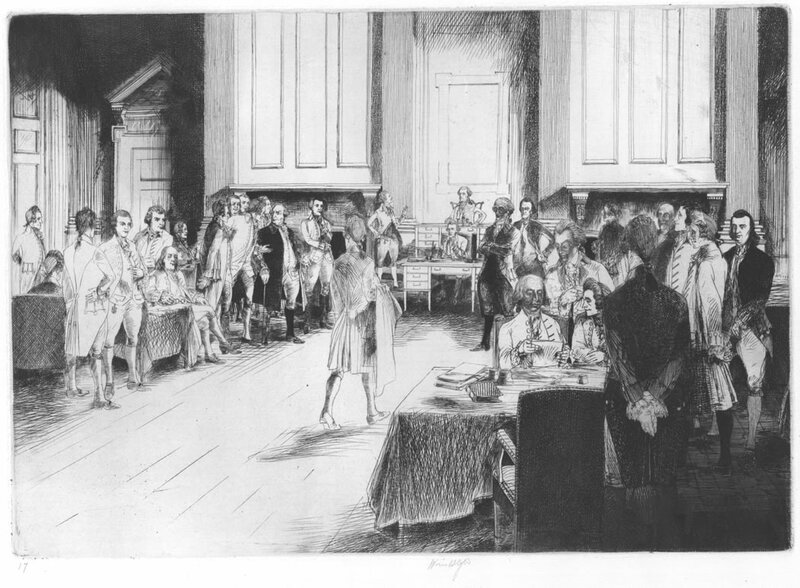 Once the Constitution was presented to the nation, the entire population participated in the debate in halls, taverns, and churches for almost two years. Are the Founders worthy of our admiration? We owe them more than admiration: we owe them our attention. They were educated about governments systems, debated endlessly on the subject, and came to a national consensus on the best form of government that would protect liberty and enrich lives. Most were not rich, but those that were committed their fortunes and life to a revolutionary idea. The Founders bequeath to us a system of self-government, but they also gave us a loftiness of purpose that has continued to expand liberty. It is that idealism and sense of fairness that has made this country great. It’s easy to denigrate their societal inequities, but the Constitution included a way to change and evolve. The people have used the amendment process to add a Bill of Rights, end slavery, give women the right to vote, and institute several other expansions of liberty to all citizens. Yes, they deserve admiration, and our eternal gratitude. Let’s honor their legacy by studying their deliberations and continuing to work within our Constitutional framework. Probably the first and only time that such a lengthy debate on the optimal way to ensure liberty was conducted–and its conclusions put into practice. If that’s not worthy of continuing admiration, nothing is. Excellent, as all the Founders posts are. But I found myself near tears, as I thought how close we came before November to losing what they gave us. We still are in danger unless further restoration is made in 2012 and strongly maintained into the future..
[WORDPRESS HASHCASH] The comment’s server IP (207.182.138.245) doesn’t match the comment’s URL host IP (207.182.138.246) and so is spam. Kathryn, I couldn’t agree more. I believe we just scrubbed off speed in 2010. Now we need to reverse direction. It seems that the reversal of direction you sought didn’t actually happen in 2012. Instead Obama was reelected with a substantial popular vote majority. Now, in 2016, it seems that there may be a reversal of direction in the works, but it comes with a President-elect that’s fallen two million votes short of achieving a popular vote majority. In the period of study and debate preceding the ratification of the Constitution was there any significant consideration given to the possibility that the winning Presidential candidate in the electoral college might not always have a popular vote majority? If so, who were some of the people in this crowd of Founders who were alert enough to recognize this possibility, and what did they have to say about it? Did any of these forward-looking Founders have any sense of the tension and ill will this situation was going to cause in 1824, 1876, and 2000 and of the unproductive administrations that were going to follow in the wake of this tension and ill will? If there were Founders who saw this coming, why weren’t they listened to? With hindsight it all seem pretty obvious that things were going to turn out this way. Do you have some comment on the extent to which it was obvious at the time?